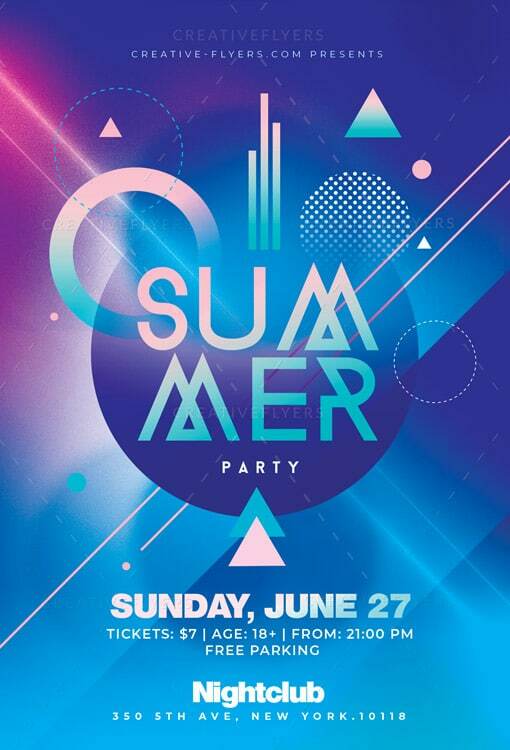 Creative flyer template to promote your Summer party ! Minimalist Flyer Psd editable with Photoshop. Minimalist Summer Template essential to promote your evening ! Summer Flyer to promote your Nightclub party, restaurant, bar, festivals event! Save time and create a custom design with your own text, images and colors. If you liked this style, enjoy downloading this Minimalist Summer Template Psd, a first-rate design by Creativeflyers ! Creativeflyers is loved by beginners and professionals, fully customizable flyer design. Graphic design resources for personal and commercial use.